Blu Wireless Technology is a firm that is leading the way in bringing ultra-fast mmWave wireless technology into homes and businesses through the roll-out of WiGig and 5G networks. 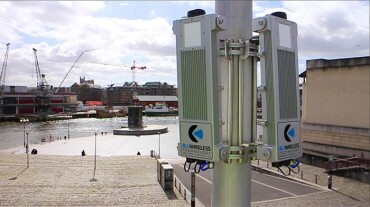 Blu Wireless technology already plays an important role in the creation and roll-out of the next generation of high-speed internet and wireless-enabled systems, ranging from virtual reality headsets and ultra-fast video streaming, through to 5G networks. They are also set to help pave the way for the advent of so-called ‘smart’ cities, in which the real-time collection and analysis of data from urban assets and infrastructure is undertaken to better and more efficiently manage those resources. Calculus Capital’s investment supplements the recent funding round that included ARM, the UK semiconductor IP company that was acquired in 2016 by SoftBank. Blu Wireless, which has many of the world’s leading semiconductor and consumer electronics companies among its customers, will use Calculus’s investment to further grow its software design and development team and recruit additional sales and marketing resource to help expand the company’s client base.